Now what the heck is going on here!!!! All the students that participated int he scam deserve to not participate in graduation ceremonies and they should have some form of criminal punishment against them as well for forgery. 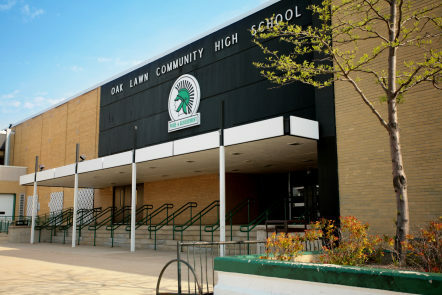 Four dozen Oak Lawn High School seniors won’t be graduating with the rest of their class on Wednesday, after allegedly cheating on their community service hours requirement. Oak Lawn Community High School senior Mason McCarthy will not be walking across the stage with his friends at graduation Wednesday night. He is one of 48 seniors who are not being allowed to participate because they falsified documents related to their required community service hours. McCarthy said he was embarrassed that his family would not be able to see him graduate. “It’s more of a punishment to my family,” said McCarthy, who said he plans to complete his remaining volunteer work at a local animal shelter by the end of the month. Oak Lawn Community High School requires each student to complete 24 community service hours by graduation. High school officials recently noticed an irregularity in signatures on papers from students saying they volunteered at Stony Creek Golf Course in Oak Lawn. When school officials investigated, they learned that none of the 47 students who turned in paperwork for the golf course had ever volunteered there. Students told school officials they paid another student between $10 and $20 for the forged documents. That student is not participating in graduation because of the role he played in facilitating the scam. Officials with the Oak Lawn Park District, which operates the golf course, said they were unaware of the forged documents until school officials contacted them. McCarthy said he did not pay for a forged document but admitted he turned in paperwork in October with a forged signature stating he completed four of his hours at the golf course. He thought he would not get caught, but even if he did, he expected it would result in a detention and he would be able to make up the hours. He never thought he and his family would be missing out on graduation. “I’m very empathetic to the parents, and these are all pretty good kids who just made a bad choice here,” said Michael Riordan, who serves as principal and superintendent for Oak Lawn Community High School District 229. “But we have to uphold the integrity of our expectations (for our students). He said graduation is a privilege not a right and noted that students are informed of the community service requirement their freshman year and they have four years to complete the 24 hours. According to the school’s policy, students who do not complete their service hours are not allowed to participate in the graduation ceremony. Riordan said some parents have questioned the need for the community service component, which is similar to requirements at many suburban high schools. The students not participating in graduation will receive their diplomas once they complete the full 24 hours of required service. McCarthy’s mother, Elaine, acknowledged her son shouldn’t have turned in forged documents but questioned the severity of the punishment. She suggested perhaps doubling the amount of community service hours students should complete rather than keeping them from graduation with their approximately 440 classmates. She said she supported the school’s decision when she heard about it last week and told her son he was getting what he deserved. She said she has contacted the village’s mayor, school board members and officials at the school. So far, the school’s response has remained unchanged. She said she still plans to celebrate his graduation and is proud of her son, who plans to attend the University of Iowa and has been working and taking college classes during his senior year.